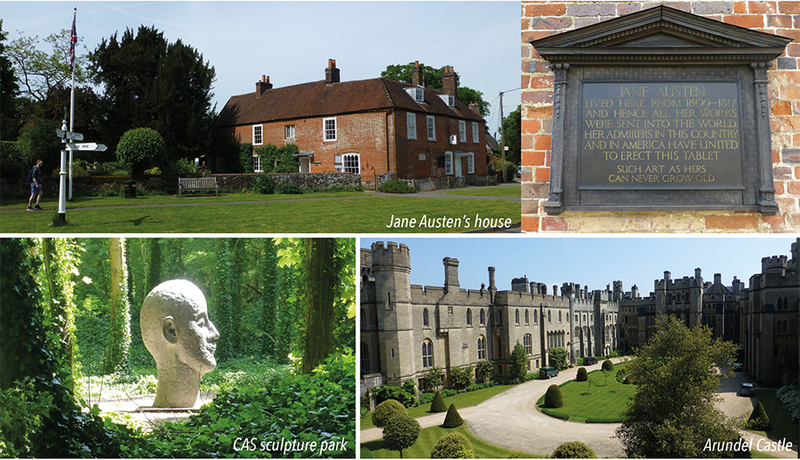 On Friday morning we’d set off early (well, early-ish), to drive to Reading, home of Porsche Cars Great Britain, pick-up their 911 Targa 4 GTS, and then make our way down to Sussex, via Chawton in Hampshire, once the home of author Jane Austen, – Mrs B is a fan. Once there, after dinner in the Stag Inn in Balls Cross, we’d overnight in our favourite B&B – which incident-ally is literally next door, and always superb – and then after breakfast the next day, drive the short route over the South Downs to the Goodwood Motor Circuit and take lots of photographs. Simple. But why a Porsche, and why Goodwood? That’s simple too. This year sees them both turn 70. Goodwood Motor Circuit was officially opened in September 1948 when Freddie March, the 9th Duke of Richmond and renowned amateur racer, tore around what was formerly the perimeter track of RAF Westhampnett in a Bristol 400. 15,000 spectators showed up that day to witness what was the opening of Britain’s first professionally organised post-war motor-racing event; they’re said to have given him a rapturous response. Hence our quest to bring the two soon-to-be septuagenarians together. After storing our bags in the 911’s front luggage trunk and making ourselves comfy inside the snug leather-lined cabin, we made short work of the M4, before picking up the A33 and then the somewhat bumpy B3349 at Three Mile Cross. As a long distance cruiser Porsche’s rear-engined icon still takes some beating; 450bhp and 405lbft of torque has the ability to make short work of a motorway junction or two. Tyre rumble is the biggest bug-bear though, the 305/30 ZR 20 rears thump over surface imperfections and roar on rougher surfaces. Presumably autobahns are billiard board smooth. We chose to keep the roof up too. 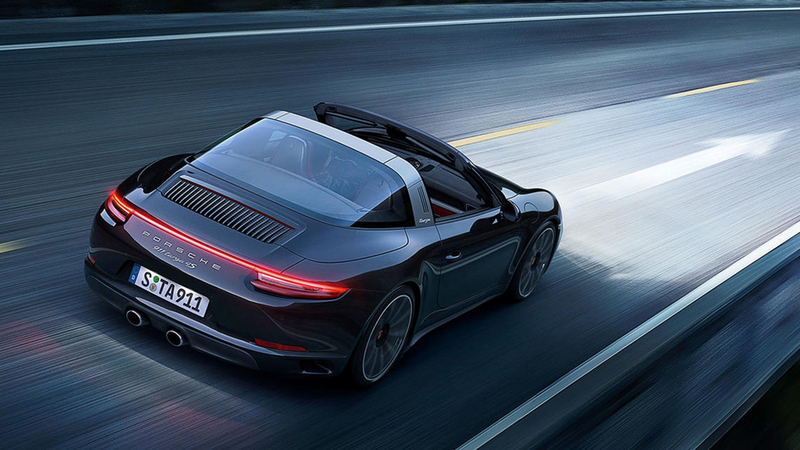 While it’s easy to fall for the charm of an open-topped car on a warm, early summer’s day, the reality, especially so in a Targa where the clamshell rear window section stays in place, is a lot a wind noise, and a lot of buffeting at speed. Not to mention the ability to burn your bonce to a crisp in under 3 minutes should you be stuck in traffic. Call me soulless if you like but give me air-con and a tin-top any day. In the evenings when the air’s cooler, the heated seats are on, and when I’m in no rush, however. Well that’s a different matter entirely. 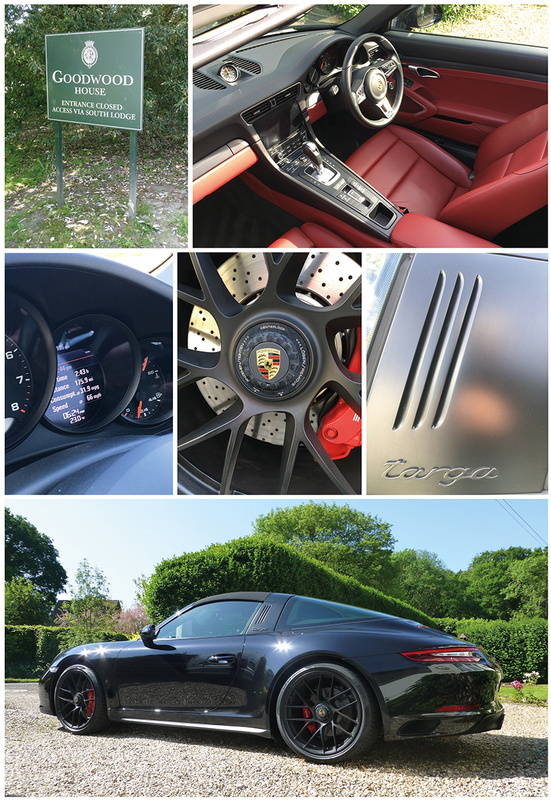 Roof up or down, what can’t be quibbled about is just how involving the 911 feels. The steering is alive with feedback and the view over those curved wing-tops is the same now as it always was; the nose bobbing ever-so slightly, as a result of the rear mounted motor. And what a motor it is. A six cylinder symphony plays out behind you as you brake for corners, and then accelerate away again. A flick of a finger is all it takes to change gear, the seven-speed PDK gearbox responding immediately. At low revs there’s a full, deep, bass note complete with trademark metallic overtones. Stretch your right ankle a little and it’s replaced by a high pitched wail. 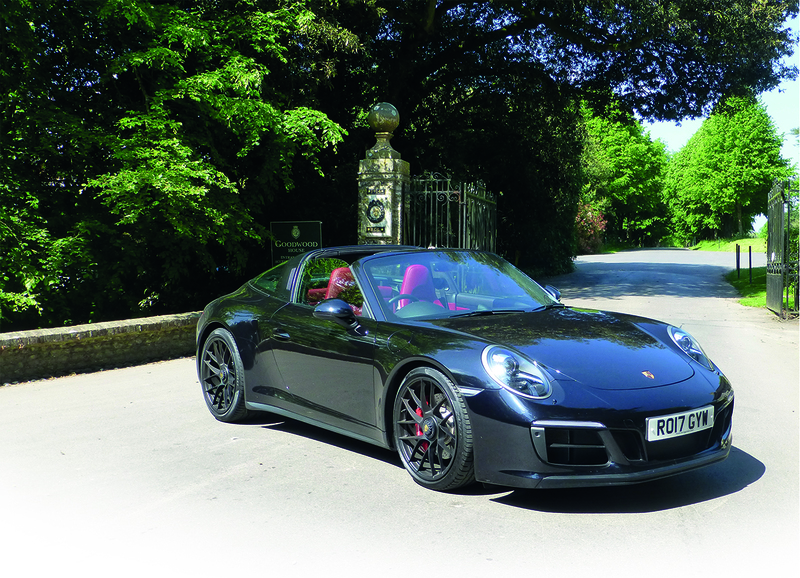 A Targa 4 GTS is by no means the quickest, or indeed the lightest of the 911 range – that clever, near-balletic in action, mechanical folding roof adds weight – but 0-62 in 3.7 seconds is more than swift enough in anyone’s book. Perhaps more impressive still however is the fuel consumption: Over a week-end of nearly 600 miles or so we averaged over 32mpg. With fuel left to spare we arrived ahead of schedule. Jane Austen’s house was as delightful as you might imagine, dinner was delicious, and our overnight stay in Stag Cottage every bit as superb as we knew it would be. Everything was going swimmingly to plan. Until that is we arrived at the gates to the Good-wood Circuit. An event being held on the Saturday morning meant we couldn’t just nip in and out as we’d hoped, and indeed have done so many times before. If only we’d checked. Goodwood House is shut to the public on Saturdays too. A quick snap of the 911 by the gatehouse – the one coincidentally closest to where the Festival of Speed hill-climb course start line is situated (Ooh the temptation to just have a quick blast through the Duke of Richmond’s garden) was all we could muster. Our best laid plans had indeed gone awry. Still, no matter. Rush over, we put the roof down, explored the nearby CAS sculpture park in the morning sun instead, and then made our way back across The Downs after a nose around nearby Arundel Castle. We’ll be back to get our photos soon enough. Porsche are the featured marque at this year’s Festival of Speed, and the 70th birthday celebrations will no doubt be in full swing. Apparently they’ve been planning it for ages. Engine: 2,981 cc, 6 cylinder horizontally opposed, twin-turbo.